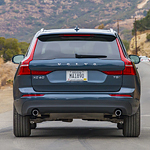 The Volvo XC60 is a feature-rich and popular mid-size SUV. In the spirit of promoting maximum customer choice, the XC60 comes in several trim lines that are designed to cater to a wide variety of tastes. 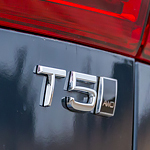 Included in this line of trims are the XC60 Inscription, Polestar, and R-Design. 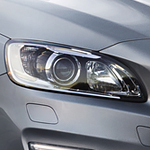 The Volvo XC60 Inscription brings a number of comfort enhancing luxury features to the table. These features range from creature comforts such as heated and massage ready seating to multi-zone climate control capabilities. Are you trying to figure out which type of luxury vehicle you would like to use to help your family get around? 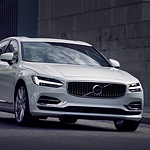 Come to Star Volvo Cars Greensburg and check out the popular luxury wagon that is the Volvo V90. This vehicle offers the performance features that you want and more. Whether you use your vehicle to bring your kids to school or just to take yourself to work, it is always good to know that you will be safe on the road. If safety is a high priority for you, the Volvo XC60 might just be your perfect vehicle. This popular luxury compact SUV offers a huge range of safety features that will keep you protected at all times. 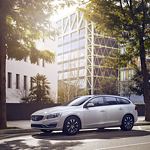 Volvo is a brand that has prided itself with incorporating beautiful Swedish design into their vehicles. With their new Volvo S90 sedan they have really outdone themselves. The interior envelopes its passengers in leather and luxurious features. Never let it be said that good things can't come in small packages. That goes for those who wish to cruise around Greensburg in a vehicle that is compact but also is crafted with a mind towards luxury. 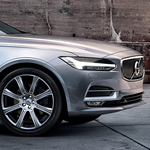 The 2019 Volvo S60 is an all-new luxury compact sedan seeking to serve both of these needs. Are you looking for a luxury SUV that proves it is a luxury vehicle with its exterior design and features? The popular option from Volvo, the XC60, has all of the exterior details that you are seeking and it is a great compact luxury SUV for you. Once the Volvo XC90 was here at Star Volvo Cars Greensburg we knew we had to showcase this popular luxury SUV. Today we wanted to highlight a couple of safety features any driver will appreciate. 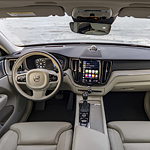 The reason that the Lane-Keeping System is so popular with the owners of the Volvo XC90, it helps reduce instances of tired or distracted driving. Sensors scan the road surface and detect slow drifting from the lane, then signal vibrations to the steering wheel so that the driver is able to identify the issue and take the appropriate action. If you are purchasing a luxury vehicle, you want everything about that vehicle to feel luxurious. The audio and technology features in your vehicle should be special. 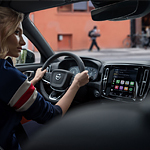 The Volvo XC40 is a popular subcompact luxury SUV and it provides you with the audio and technology features that you want. When Star Volvo Cars Greensburg took delivery of the new Volvo V60 Inscription, we knew drivers would be excited. This popular midsize sports wagon comes with a number of trim designs that make your vehicle stand out on the roads. Whether you want a sporty or elegant style, you will find that and more with this vehicle. The Volvo S90 Momentum remains a popular choice among vehicle owners who prefer comfort and luxury. The interiors boast various elegant amenities and technological features. See the true luxury of the Volvo S90 in Greensburg, PA.